Chicago Child Support Lawyer | Johnson & Johnson, Ltd. Experienced Chicago child support lawyer. There are many considerations that must be reviewed when a relationship ends. The most important issues and those that often evoke the most powerful emotions are often related to children. Child support is one of the hot issues that must be determined as part of a divorce or any break-up. 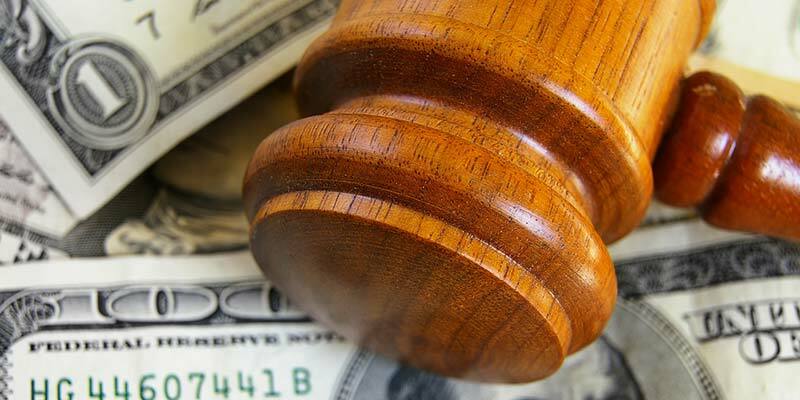 The family court judge will issue a child support order based on a variety of factors. It is essential to seek guidance from a skilled Chicago child support lawyer. Your Chicago child support lawyer knows the laws regarding child support and will always protect your rights and interests. Both parents have the responsibility to take care of their children. Children must have all of their basic needs met including the provision of food, shelter, and clothing. Other needs must also be met, such as medical and educational requirements. Your Chicago child support lawyer will explain that while both mother and father must provide for their children, generally, the non-custodial parent provides child support. Child support is a separate matter from child custody. Joint or shared custody means that both parents are able to make important decisions on behalf of their children. Physical custody refers to the location where the children reside. A Chicago child support lawyer will make sure that a fair custody determination becomes part of a court’s order. Child support is determined using a variety of factors. Illinois law provides a guideline formula that courts utilize in setting support payments. The guideline formula is based off of the income sharing model. Your Chicago child support lawyer will inform you that the payments are generally calculated by the income of both parents, as well as the number of children that must be supported, among other factors. Child support payments must be made in accordance with the order, which typically stipulates monthly payments be made directly to the residential parent. An excellent resource for quickly and accurately calculating child support amounts is the Illinois Child Support Calculator. If there are any specific requirements, your Chicago child support lawyer must be informed of these needs and these needs must be stipulated to the court. Usually, additional monetary needs are resolved by agreement. For example, when a child requires payment for athletic participation or for braces, these costs are not typically part of the regular child support. Parents who are not married are also required to provide care for their children, including child support. In the case of unmarried parents, a hearing must be requested where the court will determine child support. Before child support or child visitation will be ordered, paternity must be established. This is can be done through a couple of methods, one of which is by DNA. When you are facing child support litigation it is necessary to get representation by a qualified Chicago child support lawyer to assist you through the process. Child support is typically part of a court order. Once in place, child support payments must be made according to the order. If payments fall short, it is cause for concern, and you should contact a Chicago child support lawyer immediately. When child support is late or goes unpaid it can become a legal matter. If this occurs there are several ways that payments may be obtained. Wages may be garnished to ensure proper payment. Income tax refunds may be withheld until repayment is accomplished. In some cases, the driver’s license could be suspended until the person makes appropriate repayment. If you get behind on child support the costs can quickly add up, making it difficult to get back on track. This can occur due to the loss of a job or because of a decrease in salary. If you are unable to make payments contact a Chicago child support lawyer to learn your options before the situation becomes out of control. If you are the parent who should be receiving payments but is not, your Chicago child support lawyer will help you get the money that is needed. Child support may bring various issues from time to time. When payment cannot be made on time or starts to become a problem, the situation may be hard to resolve. This can lead to a complex divorce or child support proceeding. It may require assistance from a knowledgeable Chicago child support lawyer who has experience getting resolution to these types of matters. It is best not to allow changes to child support without first getting court approval. While you and the other parent may be on good terms, any out of court agreed changes to a court order will not generally be legal unless made by a judge in a subsequent order. Changes, also called modifications, to child support are sometimes necessary. However, they are not often granted. A parent must prove that changes are necessary in order to seek a change to the original order. Your Chicago child support lawyer will explain that because child support is based on many factors and is determined through guidelines, it may be difficult to get modifications to it. Sometimes a parent’s income increases drastically, causing the other parent to feel that payments are too low. Other times a parent may have a serious decrease in income. Any request for modification must come through a post decree modification hearing where both parents are in attendance. A Chicago child support lawyer will review your situation to determine whether a modification may be possible or likely. If so, you must request a hearing where a judge will hear both sides and make a determination. Child support and other issues regarding children are serious matters and require guidance from a Chicago child support lawyer. Choose a Chicago child support lawyer who focusses in family law matters including child support. These matters can be stressful but are often much easier to handle with the help of a skilled Chicago child support lawyer. If you have questions regarding child support, need a change to a current child support order, or have problems with support payments, contact the compassionate Chicago child support lawyers at Johnson & Johnson, Ltd. We have the experience and expertise to handle even the most complex problems. Contact Johnson & Johnson, Ltd. today to schedule a consultation with a Chicago child support lawyer.